More from Ora: Anne Heche: Working with Johnny Depp was "heaven"
Justin Bartha joins Larry to discuss his new role in ‘The Good Wife’ spin-off ‘The Good Fight,’ Trump’s identity politics, and what Nicolas Cage is really like. Plus, the ‘National Treasure’ star on the possibility of a third film in the series. Larry talks to actor Justin Bartha from ‘The Hangover’ trilogy, ‘National Treasure’ series, and the TV series ‘The New Normal.’ Bartha currently stars in the new series, ‘The Good Fight,’ a spinoff of ‘The Good Wife.’ The show is on a CBS streaming platform, and features a plot centered around a financial scam instead of the political and sexual scandal in ‘The Good Wife.’ Bartha, a fan of ‘The Good Wife,’ commends the great writing and acting in that show. Larry asks him about working in ‘The Hangover’ films, and Bartha speaks highly of his costars Bradley Cooper and Zach Galifianakis. Similarly, Bartha discusses his costar Nicolas Cage from ‘National Treasure,’ saying that Cage is eccentric and hilarious. Bartha, who grew up in Michigan and didn’t seriously pursue acting until he quit playing sports in high school, talks about interning at Robert DeNiro’s TriBeCa Productions, and how he was credited as an office production intern on ‘Analyze This’ (1999). Since then, Bartha has acted in multiple movies and played a gay man in TV show ‘The New Normal.’ Larry inquires why the show only lasted a year, and Bartha mentions the difficulties network shows encounter. In regards to working in film and television, Bartha says he enjoys the work, but that he had to adjust to being an artist since he did not come from such a family. Talking more about his personal life and family, Bartha got married three years ago and now has two baby girls. Larry asks him about his past relationship with Ashley Olsen, which was covered by the paparazzi. Bartha praises Olsen as an amazing woman. 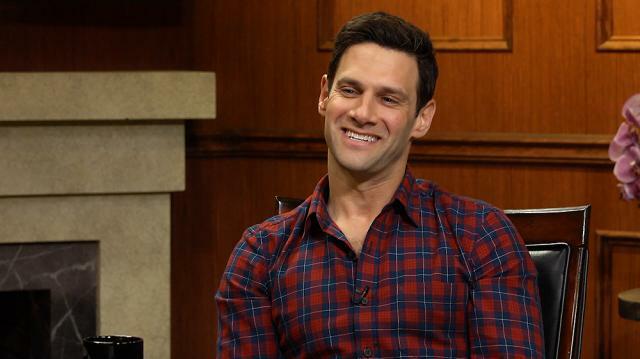 Then Larry asks Bartha about a man, Trump, whom Bartha thinks is considerably less amazing. Bartha recommends the BBC documentary ‘HyperNormalisation,’ which compares divisive techniques Putin used to gain and stay in power with some techniques used in the Trump administration. He laments that the conflation of entertainment and journalism obscures reality.